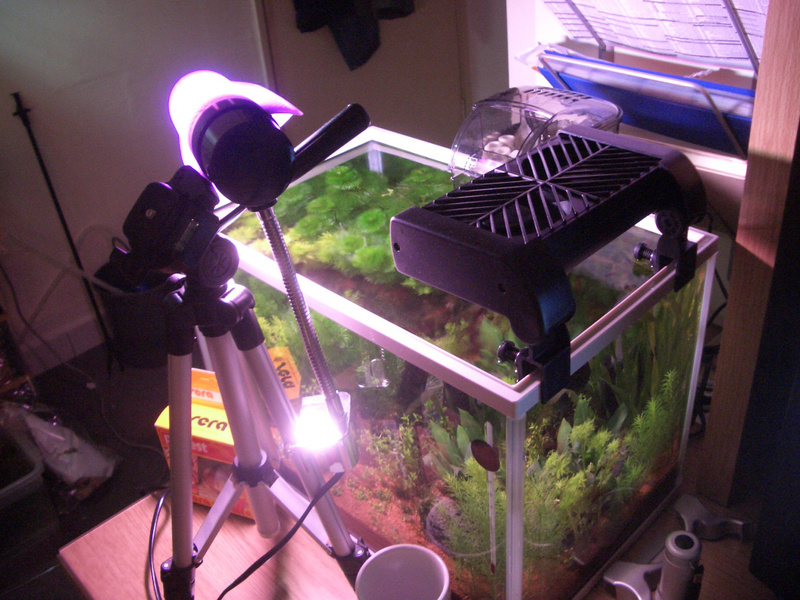 Not long after I bought the fan, I attached it to my aquarium. Kinda wondering how many degrees that the temperature can go down. Before I went of to the office yesterday, I leave the fan on. Got back home. 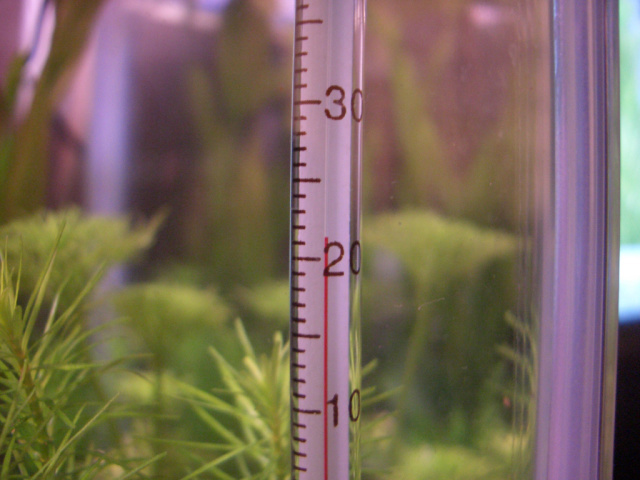 First thing, I check the temperature of the water of my first aquarium, with no fan attached. It recorded 29.1°C. This is the normal water temperature that I get. But the one the I put the fan on recorded 26.5°C. Not bad I guess, since I see people usually set the temperature of the water to be 25°C for the planted aquarium. And from what I read also, most aquatic plants do well within the temperature range of 21°C to 27°C. 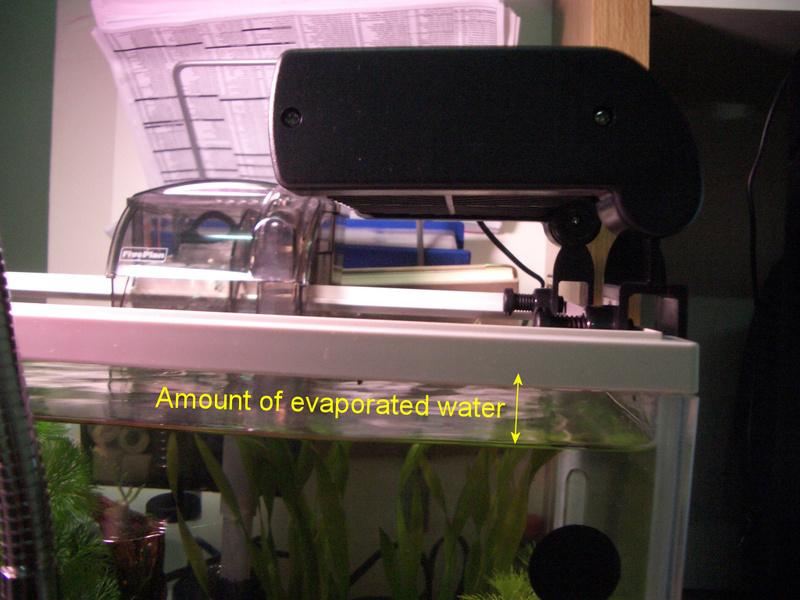 But as the name says, cooling the water using evaporation, the water evaporated a lot. I have the water level up to the white plastic area of the aquarium. But when I get back, the water level drops significantly. Usually, once I’m home, the airconditioner in my room just on all the time, and I sleep with air conditioner switched on too. So this morning, woke up, and I check the water temperature. 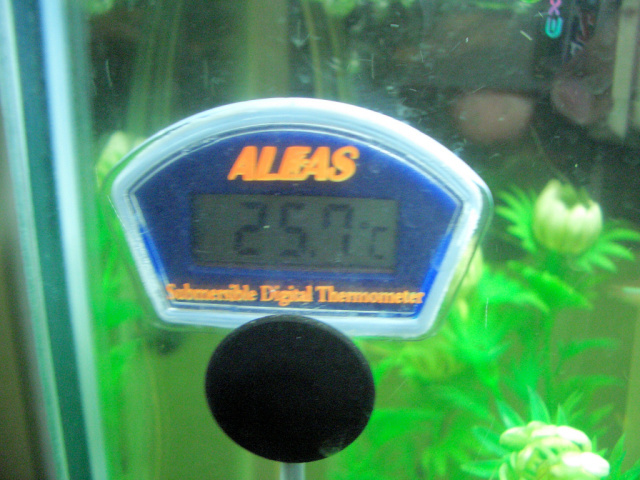 The old aquarium that I have, the one without fan has the temperature of 25.7°C. But what about the one with fan. Yes. It is proven that the fan does help cooling the water. 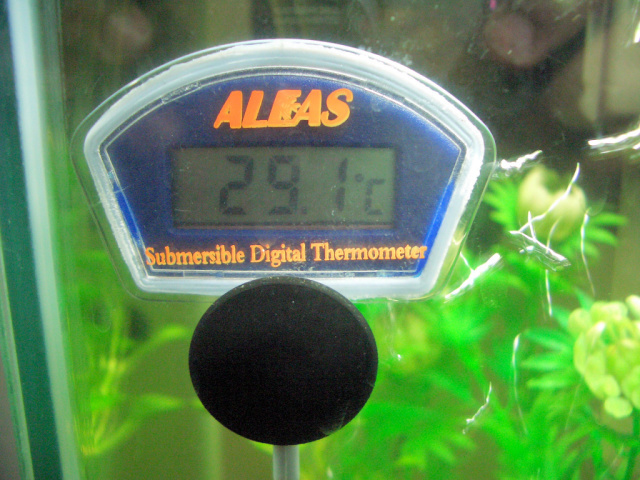 The cool air blowing to the water surface has bring down the temperature to 21.5°C. Brrbbbb… That’s cold. 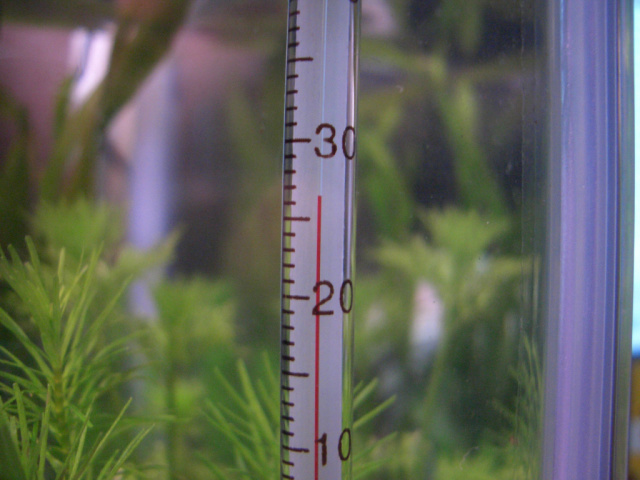 So I manage to have the water temperature to be in the appropriate range for planted aquarium. Hope my plants grows and mature eventually.